Contact Crosspoint Family Dental if you need an emergency dentist in the Chelmsford, MA area. When you need urgent dental care in an emergency involving a damaged tooth, remember to keep calm. Do not take ibuprofen or aspirin and to avoid an infection or complications, please see a dentist as soon as possible. Dr. Turkenich and Dr. Peyskhov understand that you and your loved ones need a skillful dentist that you can trust, especially during an unexpected emergency situation. While you work hard to maintain your oral health, you can’t predict when an emergency can happen. 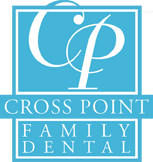 Fortunately at Crosspoint Family Dental, we are comprised of capable and dependable staff members with your best interest in mind. If you are suffering from any of these problems or another dental emergency not listed, contact Crosspoint Family Dental immediately. We are committed to serving our patients as quickly as possible in order to relieve your pain and discomfort. Dr. Turkenich and Dr. Peyskhov are equipped to maintain a healthy mouth but also to resolve any acute issues or emergencies that arise. We can be reached at (978) 459-6467. Our emergency dentist currently services those in and around Chelmsford, MA.